Home / Health tips / Healthy living / What Are The Simple Things You Can Do To Slow Down Aging? What Are The Simple Things You Can Do To Slow Down Aging? In humans, aging is such an inevitable process because we all are going to experience it as long as we live or remain alive. But the process becomes worrisome when it is occurring at a fast rate, it becomes a thing of concern when someone who is merely twenty have a face or appears like someone who is in his/her 50s. There are lots of factors that contributes to a speedy aging process, which we shall be looking at some of them on this page. Since we already have the knowledge that we must age as long as we are still alive, our body builds up, cells dies and new ones are been generated, but the question is "what are the simple things we can easily do that can slow down the aging process"? The reason i am asking this question is because there are lots of people out there that are quite younger than their respective ages. What are their secretes? What healthy practices are they following? and finally, what steps can we all follow in order to slow than our aging process? I am quite sure this questions will be running through most of our minds. Read on, in order to get most answers to most of you questions. Before we look at methods or things we can do on a daily basis in order to slow down the aging, it will be wise for us to have a foundational knowledge of what aging is all about, how it works in humans - i termed it "the understanding the aging process". 1. Our brain consumes and burns down calories on a daily basis whenever we engage in thoughts. 2. All the cells in our body are been replaced once in every seven years. (conduct further research to attest to this fact). 3. Oxygen makes the cells in the body to remain and stay alive, the cells eventually dies when there is short of oxygen. 4. The body cells have the capacity to regenerate, when one cell dies another is been regenerated to replace it. This process is called "the self-healing capacity of the body". 5. But as time goes on, the cell-generating capacity diminishes because we tend to consume a lot of amount of cell energy and we give a little input for replenishment and regeneration. 6. The combined energy of all our cells is called the "pranic energy". 7. Plants have pranic energy just like humans. Whenever we eat foods rich in oxygen (vegetables, fresh fruits, greens etc. ), we are basically extracting pranic energy from them as well. This will as well enrich our body's cells by supplying them with the necessary energy consumed. Now, we have understood the concepts of energy, how they are consumed within cells, and how the cell dies and regenerates. 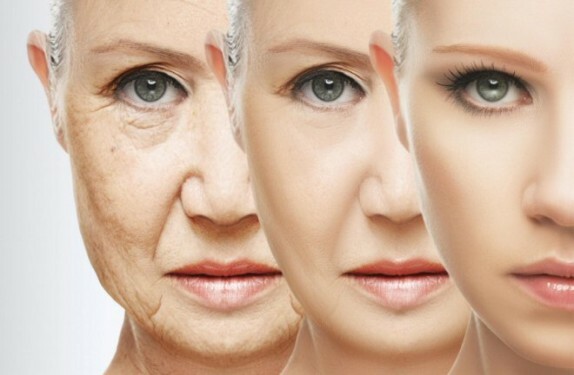 Let us now look at how the process of aging occurs. · We experience thousands of thoughts on a daily basis, each thought consume a specific amount of energy. · We have lots of distractions which makes us not to be able to focus on a particular thing for a longer period. · We eat just because of taste or emotional reasons and majorly not because of hunger. Most at times, we eat junk foods. · We eat a lot of dead foods, cooked vegetables, dead meats etc. · We hardly supply the adequate amount of nutrients needed by the body to replenish and regenerate its cells. · We do not breathe deeply, most adults just breathe in a shallow manner. · We engage in a lot of stress in our daily activities. During this stress period, we only breathe in a shallow manner. We also consume a lot of energy in producing the stress hormone known as "cortisol" and "epinephrine". All these experience that we pass through as an adult basically negates the process of replenishment, and the self-healing capacity of our body starts to decline. This is the major reason why as an adult, we are more prone to sicknesses and we remain sick for longer periods when compared to children or teenagers. The is also the reason why the bones of an adult starts to experience weakness, and they develop arthritis and some other bone-related diseases. This is also the reason why our immune defence capacity reduces over the years. This is also the reason why the skin starts developing wrinkles. Wrinkles is a major sign that associates with aging. Wrinkles occurs basically because the cells that are originally present in the skin dies off without any replacement because of the above mentioned factors. But the good news is that the aging process can be slowed down, read on to discover some answers to the million dollar question "what are the simple things you can do to slow down the aging process"? If you desire an appropriate supply of energy in your body, then it is advisable that you breathe deeply and slowly. The slower and deeper you breathe, the more you increase the oxygen supply to your body. The more the oxygen, the fresher you feel. If you will observe, you will discover that you normally breathe deeply and slowly whenever you are in a happy mood. But when you angry or experiencing a sad and frustrating mood, you normally breathe in a fast and shallow manner. Whenever you are in sad mood, if you will manipulate your breathe by breathing slowly and deeply, you will observe that mind will actually become calm and peaceful. The question will be, "how does this have an effect on the aging process"? The answer is simple, the calmer you are, the less thoughts you will have. In this way, you are also supplying more oxygen to your body cells. You are enriching your brain, body and increasing the supply of pranic energy to your cells. All these, slows down the aging process. While you are meditating, you are basically inducing the alpha state of your mind that you can only experience when you are sleeping. By inducing the alpha state, you are inducing the calming state in you just like when you are sleeping. The only difference with that of sleeping is that you are doing it consciously, that is the reason why it is called "meditation". How does meditation affects aging? When you are meditating, you are at the same time breathing deeply which also favours the pranic energy flow within your body. While meditating, your thoughts reduce gradually until you get to a point where you are not having any thoughts at all, but only deep silence. Being in a meditative state, even if it is for an hour in day, gives an equivalent effect of four and a half hours of daily sleep. Finally, a well rested sleep is one of the major ways in slowing down aging. So by engaging in meditation, you are directly slowing down the body's aging process. This is the reason why many sages who are at their 70s look as if they are in their 40s. Yoga is used to complement the meditation process. Yoga basically connects sages with the core of their body, puts them in control, by manipulating breath and therefore the energy in their body. When you are involved in yoga, you are basically regulating your breath. How does yoga affects aging? By regulating the energy within your body, you are allowing pranic energy to flow to the highest possible level, you are clearing out all the energy blocks and giving the cells of your body the fullest chance to absorb all that energy in replenishing its self-healing capacity and in regenerating dead cells. Laughter have always been the best therapy. Laugh when you fail, laugh when you feel stupid, laugh when you listen to jokes, laughter have always been the key. When you laugh, it means you are experiencing a happy mood which slows down the aging process as i have explained earlier on. Worrying have always been part of our daily living. Worries must always arise, but it is proper you maintain it in a healthy way. The answer is that do not allow your worries to bother you, take a chill pill, seek for solutions rather than laying emphasis on the worries. Maintaining a healthy diet is a sure way of slowing down the aging process. Eating foods that supplies large amounts of pranic energy are quite favourable in the replenishment of the body cells. With this few write up, i am sure i have given some few answers on the simple things we can do to slow down the aging process. There may be additional ones, so feel free to add them by commenting in the comment box below, and also before you leave, use the social share icons below to share this post with your friends on various social media.